It's not too often that an OS update for Nintendo consoles really adds anything significant. Every once in a blue moon, we'll receive something interesting and notable like a speed update, but it's usually just a stability update that "improves overall system performance". That's what this latest update does, and while it may be that it hasn't brought any show stopping new features, it's brought that one thing that we can never get enough of: stability. Oh yes, you read that right. If it hasn't already downloaded to your console, you can manually install this update in the system settings that will make your Wii U console even more stable. It's about 47 MB and while it doesn't do anything else, you can now sleep more soundly at night knowing that your Wii U is quite literally as stable as it's ever been. What do you think? Have you noticed how much more stable your console is? What major features would you like to see added in an OS update? Drop us a comment in the section below. It's been a while since we've gotten some Wii U stability though. Need some more of that to catch up to the 3DS! Sleep soundly?? How am I supposed to do that with the monstrously stable console that is the Wii U in the room next to me? Nope, no sleep for me. They need to take it easy with these updates. I can't take it. Honestly, I don't know how much more stability they can fit in that thing. Any more might cause a black hole or something. Drops WiiU on the ground, WiiU stays in one piece, remaining completely functional. Finally I can drop that machine on the floor how many times I want and it won't break! Console breaks upon the second time - well sh..! @GoldenGamer88 Maybe the next update will make the console waterproof, like what iOS 8 did for the iPhone! @MitchVogel Unless my desert state of Arizona is getting flooded soon, that doesn't sound as useful as another stability update. If every one of us Californians had a Wii U, we wouldn't need to worry about earthquakes because of how stable these things are! You can build houses on them! Well, my 3DS is already being used as the foundation for my house, but if this keeps up I may be able to use my Wii U to support the walls. Long live the Stable Master Race! My Wii U is more stable than my relationship. at this rate my wii u will beat me at jenga like my 3ds xl does. @VR32F1END That would be nice, wouldn't it. This could have been placed in the news "article". @MitchVogel Hopefully, then I can play WiiU games in the shower! They need to send wiiU consoles to war-zones to stabilize them. It's so stable, I can't handle it!! What I'd really like to see from an update is raising the friend limit! 100 friends is too few, particularly if you're popular. It should be 500 or 1000! Next we need the Wii U XL that's so big and so stable that you can literally hold horses in it. With all these stability I think I might break! this isnt a stability patch, its a browser exploit patch. The only change is an updated web browser. I'm sure they got scared once the new method of getting 3ds homebrew on the latest version involves the web browser again. Yeah, it's apparently a web browser update. They probably are just trying to plug potential security holes. @MasterGraveheart ya might want to press the reply button only once or else ya will get multiple comments that are the same thing. It has now been confirmed that no earthquakes will ever happen in the range of 1 mile around your Wii U console. It's just too damn stable. It's not too often that an OS update for PlayStation 4 consoles really adds anything significant. Every once in a blue moon, we'll receive something interesting and notable like a speed update, but it's usually just a stability update that "improves overall system performance". That's what this latest update does, and while it may be that it hasn't brought any show stopping new features, it's brought that one thing that we can never get enough of: stability. Oh yes, you read that right. If it hasn't already downloaded to your console, you can manually install this update in the system settings that will make your PlayStation 4 console even more stable. It's about 47 MB and while it doesn't do anything else, you can now sleep more soundly at night knowing that your PlayStation 4 is quite literally as stable as it's ever been. Couldn't help myself. I hate how both Sony and Nintendo do this all the time. If it's fixing some kind of bug, they don't even tell us what the fix is. Meanwhile, Xbox One gets actual updates that add meaningful new features. Why are Wii U and PS4 so far behind? It's so stable I can't even move it! My virtual horse is stuck in the stable. Curse you stable Wii U! Which is more stable: WiiU or 3ds ? Phew, I always feared that the components in my Wii U could become unstable and cause a nuclear explosion. Good to know that the apocalypse is postponed! How about they finally create the option to disable these hideous miis roaming around on the warawara plaza? That might result in better performance. Or basicly just disable warawara plaza altogether. Let's go, nintendo. Welp. Looks like my Wii U is stuck between a rock and a hard place. O' lord stability - take mercy upon thy stable child. Looks like I have an update to check up on this evening. At least I don't have to worry about it blowing away in these lovely winter winds in my area right now, it's so stable. How about NOT having to wait 20 seconds to go to the settings menu? How about NOT having to change daylight saving time? How about hiring competent software engineers that do not live in 1995? Hopefully it's prep for home menu themes or something. the ability to set how much time to auto sleep/shutdown in 5 min. intervals up to an hour. the ability to organize titles alphabetically. higher resolution wii game rendering with more anti-aliasing and texture filtering. themes and custom wallpaper. sorry, no stability jokes. oh btw, did any of the dataminers notice that several lines of code in the update refers to a mode named 'ultra nintendo entertainment system'? just asking as it's an unfounded nx rumor i just made up and want to start now. Do you know the details of the changes to the web browser? I do most of my browsing on my Wii U now. I like interacting with the Wii U more than any other home console. There is only one change I'd like to see: If I start the system using a Pro Controller, don't turn on the gamepad. I would appreciate some stability for that youtube app. Its so poorly done. Thinking we will get an update to 6.0 in March for MyNintendo integration. Same with 3DS. Meh, couldn't care less, 5.5.1 is useless. I do understand why they do this and why they don't specify the details; minimal code optimizations and efficiency improvements that the average user wouldn't understand the terminology for. If they didn't do this regular smoothing-down, the rough points would probably add up and lead to gradual slowdown. So while updates like this ARE underwhelming, I do appreciate them. Hm, lemme go check how much more often my Wii U freezes and crashes after this update. Omg who's WiiU menu is that in the screenshot in the article? Who keeps the health warnings and parental controls on the first page? Also who even uses the WiiU video chat? Now its as stable as fluorine! Its so stable that I can barely stand up! They need to fix the common problem of gamepads not syncing error. What started out on my launch wii u as an occasional annoyance has now become a problem 99% of the time I turn my Wii U on. I get the gamepad could not connect to Wii U error & have to hold power button on Wii U for 4 seconds to power it down. Soon as I power it back on all is fine. I can always tell when it's going to work because I can hear the disc spinning before anything comes up on the screen. When I get the error I just hear a click from the disc drive. @nesmaniac That sounds like a problem with yours specifically to me. Maybe you should call Nintendo Tech Support if your warranty's still active. One thing I always admire about nintendo hradware was their security model. I love the idea of having a separate computer in a system used as as security processor. It just makes sense. The security processor prime responsibility is for code verification and also controlling use and access to hardware independently of the main processor. The recent wii u system update was to patch a bug in wii u web browser. This bug served as a entry point which then could exploit the wii u security processor allowing full unrestricted access to all the system. The odd thing is the wii u and 3ds browser both use webkit a library web parser used to make a webbrowser both chrome and apple use this. The oddpart is the exploits used to exploit both the 3ds and wii u browsers are old bugs that have been fixed. What the hell were nintendo thinking not patching old bugs in 3ds and wii u web browsers, instead only fixing them when someone exploited them ? So it's been confirmed that this patches a major exploit in the Wii U's browser called Stagefright that was the basis of Hykem's upcoming exploit. Anyway, yes, our 5.4.0/5.5.0 userland exploit is based on one of the Stagefright bugs, so, what yellows8 mentioned is accurate. Well crap, no HD GameCube or Smash Bros, Mario Kart or Xenoblade mods for anyone who updated. :/ Thankfully, my Wii U was unplugged last night. As I see most of you think "stability update" means console to be stable. This update makes it more stable in SOFTWARE. What you are imagining is a Hardware update. @nesmaniac This is a Wii U hardware problem in the Wii U gamepad. Have you yet contacted Tech Support? @stinky_t This is NOT a Hardware Update. I would like a YouTube app update and also an Internet Browser update, to be like Google Chrome. @Undead_terror I didn't even see my comment add, even after refreshing and re-entering the page. No load icon, no freezing pressed button, nothing. My bad. My Quick Start menu has changed since the upgrade. It used to show my recent games and apps. 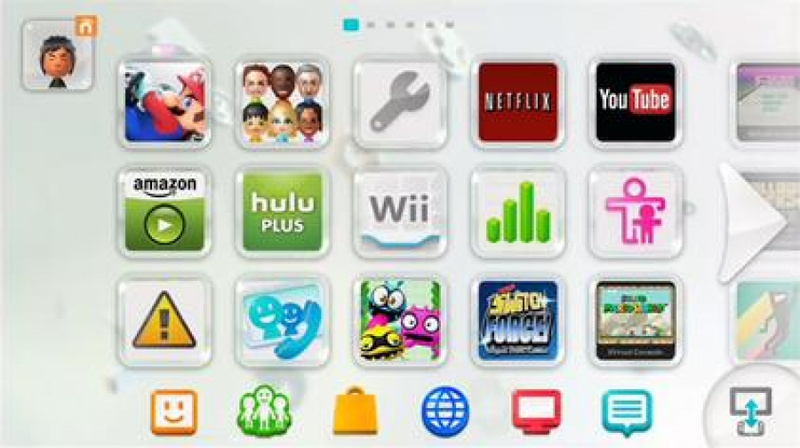 Now it only shows generic icons of internet, miiverse etc. Lol! The stability jokes never get old. @BaffleBlend Sadly it seems to be a common problem with no solution. I've read so many forums with people having the same issue. Seems to be a software issue from what I can tell because people who are buying new Wii U's today still have the issue. My wii u I preordered 1st day it was available back in 2012 & warranty is long gone & repairing it would not be cost efficient nor is buying a new console a smart option because they still have not addressed the problem so hard powering it down each startup is not too bad at least it functions perfectly after doing that. @walter923 No I've not because honestly I don't think it's worth the $65-100 repair since all I have to do is hard power down & turn back on & everything works as normal after doing that. I did read on a forum that some folks buy new wifi cards on ebay for a few bucks and it fixes the gamepad connectivity issues but the issue was a bit different than mine. Mine connects fine it's like there's some sort of conflict occurring on the software side of things that only a complete power down clears & that is why I think I've not been able to find anyone get it resolved short of getting a replacement game pad. I can usually fix hardware issues if I can trace down the problem but I honestly don't think the wifi card in the game pad will fix a thing since it works with the reset but I could be wrong. It's a problem many wii u owners seem to live with. Oh, also, it works sometimes when the console has not been off over say 24 hours. Weird to say the least. They need to sort the YouTube app. Crashes every. Goddamn. Day. @KickButt_Gaming YESTERDAY, YOU SAID TOMORROW! JUST BE STABLE!